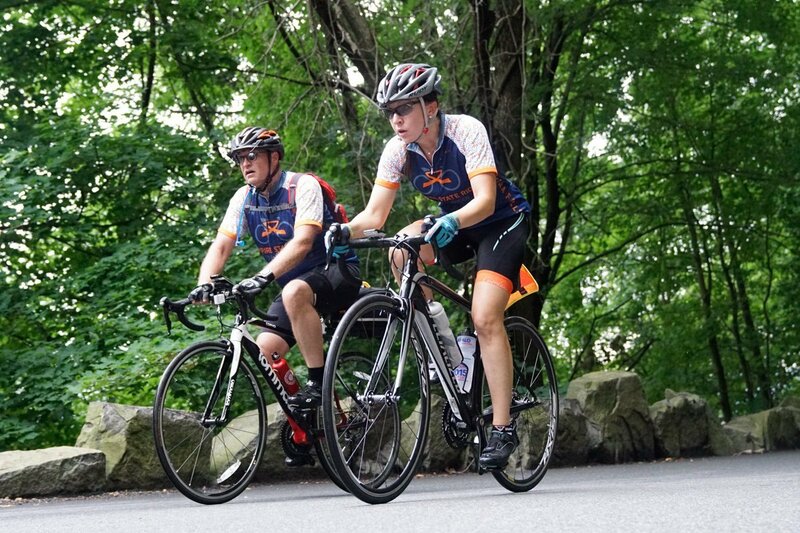 The Empire State Ride is a long-distance cycling tour that raises funds for cancer research. The seven-day, 500+ mile cycling adventure starts in New York City and crosses New York State. Who Says Cycling Is A Low-Impact Sport? The Empire State Ride is a seven-day, 500+ mile cycling adventure across New York State to support cutting-edge cancer research. It’s a one-of-a-kind experience that starts in New York City, goes through some of the most scenic parts of New York State and ends at one of the natural wonders of the world: Niagara Falls. The Empire State Ride is fully supported and offers a weeklong route as well as a custom option if you cannot ride all 7 days. Join our mailing list to learn more! What Is The Empire State Ride? Weeklong riders commit to raising $3,500 to support cancer research. They ride 7 days from NYC to Niagara Falls – 500+miles! Custom Riders commit to raising $500 for each day they ride. Pick a city along the route to start and join the weeklong riders on their ride to end cancer! From passing the Statue of Liberty to riding along the Erie Canal, there is a lot to see during the Empire State Ride. Check out our videos, photos and blog to learn more. Or, head over to our Facebook, YouTube and Instagram pages.